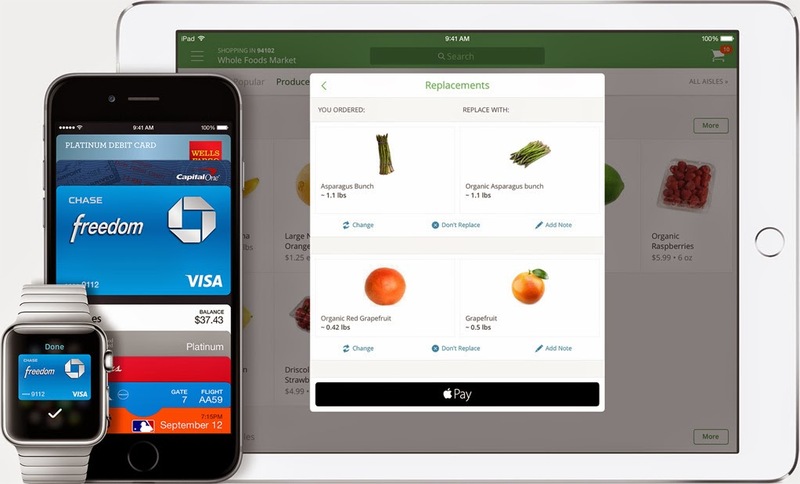 Digital payment: Apple Pay catching up with Google... and shaking up the market? According to ITG*, 1% of all digital payments in USD last November were made through Apple Pay, compared to 4% for Google Wallet. The latter was launched on May 26th, 2011, the former last October 20th, and judging by the apparent success among early adopters**, Cupertino might have already seized an even more significant chunk of this fat holiday season pie. Over November, Apple barely scratched the surface, with a very early-adopter kind of retailer leading the pack: Whole Foods Market claimed 20% of Apple Pay transactions (28% in value)***. But here, once again, Apple is leading in innovation rather than in invention, and this market pedagogy could also benefit Google itself, who didn't promote very much its own solution so far, but can leverage much wider platforms. The biggest loser could be PayPal, and ITG's Steve Weinstein thinks that they are likely to suffer against Apple Pay's much more user friendly solution. Needless to say, bigger players in finance are also paying attention. Many consumers still feel reluctant to make payments through other players than genuine financial institutions, particularly the ones that issue the reassuring plastic fetishes that, not so long ago, used to be referred to as 'smart cards'. * see "ITG Investment Research Report Finds Strong Apple Pay Momentum"
*** Walgreens comes second (19%/12%), McDonalds third (11%/3%).